Government policies that boost the amount of home ownership in a country are likely to inflict severe damage on the labour market, new research from the University of Warwick suggests. 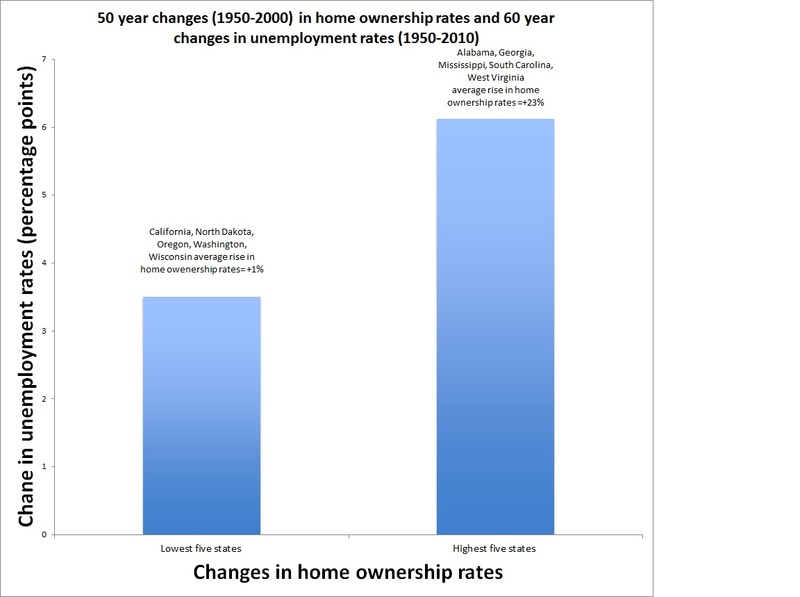 Professor Andrew Oswald from the University of Warwick and Professor David (“Danny”) Blanchflower from Dartmouth College examine a century of unemployment and home-ownership data for the states of the USA from 1900 to 2010. Combining those numbers with modern data on millions of randomly sampled Americans, the researchers show there is a powerful link between the housing market and the later health of the economy. Rises in home-ownership in a US state are followed by substantial increases in the unemployment rate in the state, a fall in the mobility of its workers, a rise in commuting times, and a drop in the rate of new business formation. The authors are careful to check, and they replicate, their findings for different periods of US history. The release of their work coincides with a new European study, done independently, which draws the same conclusions. That research, by Jani-Petri Laamanen at the University of Tampere, follows the effects of housing market deregulation across the regions of Finland. The Warwick research is agnostic about some of the underlying mechanisms, but the authors believe that high home ownership in an area leads to people staying put and commuting further and further to jobs, thereby creating cost and congestion for firms and other workers; to NIMBY (not in my back yard) activities where home owners block new businesses; and to an ossification of the mobility and dynamism of an economy. The authors’ argument is not that an owner is disproportionately likely to lose his or her job. The authors believe their ideas apply equally well to Europe. Countries like Spain and Greece famously have high home-ownership (80%+) and high unemployment (20%+), while nations like Switzerland, Germany and Austria are notably low on both. “The UK urgently needs a high-quality private rental market like the Swiss and Germans. That would hugely improve the flexibility of our economy, reduce UK unemployment, and produce a lot of extra happiness all round.”, Oswald said. The study found, for example, that the states that had the highest change in home ownership (an average of +23 % in Alabama, Georgia, Mississippi, South Carolina and West Virginia) since 1950 had a rise in the unemployment rate of 6.3 percentage points between 1950 and 2010. By contrast, the five states that had the lowest increase in home ownership over the period 1950-2000 (an average of +1 per cent in California, North Dakota, Oregon, Washington and Wisconsin) saw a rise in unemployment of 3.5 percentage points over the 60 years from 1950-2010. These numbers should be seen against the background of the unusually high national unemployment rate in 2010. South Carolina, for example, saw a rise in home ownership of 27 percentage points, the single biggest rise of all the states. It also had the single biggest rise in unemployment of 8 percentage points. The second largest rise in home ownership was in Mississippi of 25 percentage points. Unemployment rose 7 percentage points in the state. Close to the lowest rise in home ownership was in North Dakota, which saw +0.4 per cent. The unemployment rate of North Dakota was unchanged. California saw a home ownership rise of 3 percentage points and an unemployment rise of 4 percentage points. The paper ‘Does high home-ownership impair the labour market’ is published as a Peterson Institute (Washington DC) discussion paper and as a Warwick working paper. 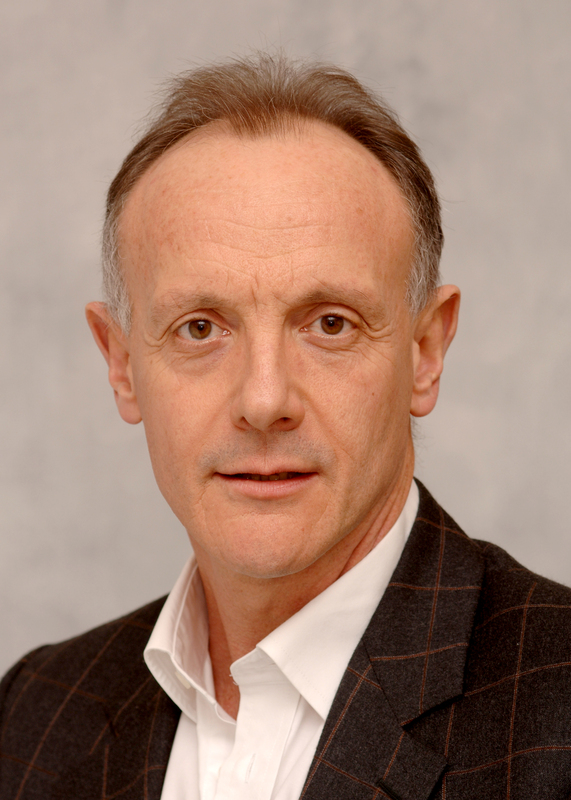 Broadcasters - We have a camera and ISDN line on campus if you would like interview Professor Andrew Oswald for radio or television.